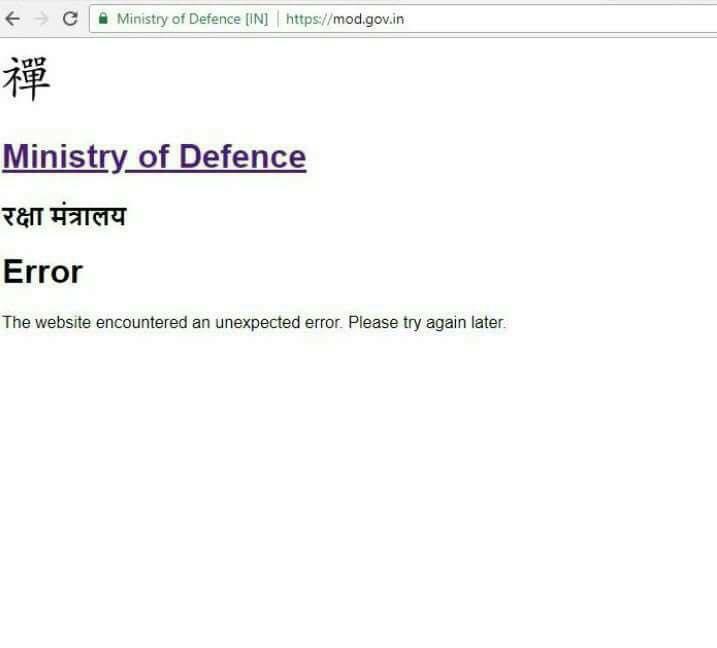 If you have been following news or were online for past couple of hours you might have noticed this news making a tweet-storm and appearing all over your timeline regarding how India's Ministry of Defense website got hacked (allegedly by 'Chinese' origin). And though most of india's government portals and websites aren't really what we call secure (I'll cite the references later), hilariously this time it really was not a hack! I got tired of explaining everyone in social media again and again what went wrong hence this blogpost. You see, most of the websites by NIC for government portals are made using a CMS called Drupal. Which is not a bad thing itself, White House's website is made in Drupal. 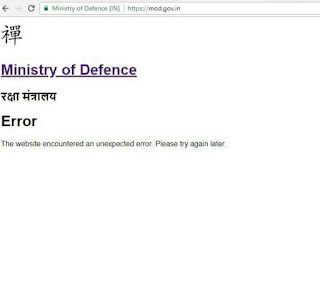 But the hilarious thing is they were using a theme called Zen (https://www.drupal.org/project/zen) and though they customized the theme to suit the respective government portals, they did not customize the maintenance page! Any idea what is Zen Theme's logo? Now see the character on that screenshot and in the logo? Still don't believe me? Then look at the source code. And it is referenced at Line 46 of the maintenance template file. So in short, those claims about hack are not true!